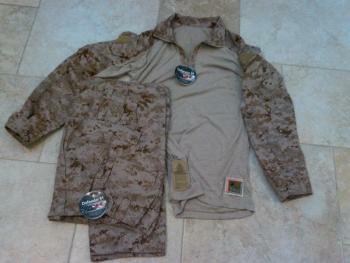 INFORMATION NOTE: FROG USMC uniform's fabric content and is VERY different from the MCCUU, the fabric content on FROG uniforms are non-melting fire resistant where the MCCUU is 50/50 Nylon/Cotton. Be careful when purchasing uniforms from suppliers other than Glenn. 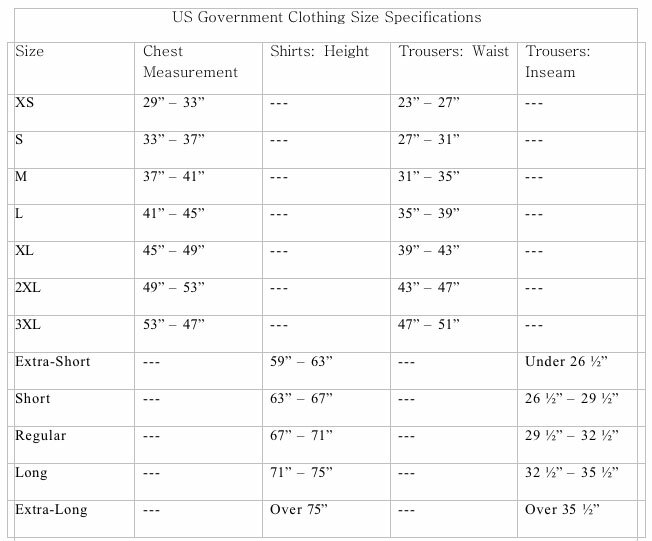 When Glenn lists a USMC uniform as a FROG uniform, it IS THE GENUINE ISSUE, not available commerically United States Marine Corp gear, most sellers utilize the term FROG for any USMC uniform. Glenn has MCCUU Marine Corp (genuine issue) listed separately for a decreased price. Glenn had the opportunity to buy a small supply of this gear. See the shopping cart for current availability. As usual, once gone/gone for good! The used pieces Glenn is selling here are in GREAT shape. NO rips, NO tears, NO stains. Might have been laundered, or you might want to/decide to launder. All closures function properly. Might have a name, unit or rank sewn or velcroed on. MINIMAL wear. READY for the HIGH standards of the USMC and Navy!